NEW! Kindle Fire Available for Checkout! 1. The Kindle Fire has a 1 day loan period. 2. The device has to be connected to wireless internet in order to access any of the content. 3. Requests for content should be made to Laurie Phillips , Associate Dean for Technical Services. Have additional questions? Stop by the Learning Commons desk and ask a librarian! Or, check out the Kindle Fire and see for yourself! With Halloween right around the corner, it seemed like the perfect time to find some ghost-y books in Special Collections. You never know what you’ll come across in the Special Collections stacks, and this spooky excavation was no different. First up is Harry Houdin’s A Magician Among the Spirits, Houdini’s 1924 attempt at debunking well-known spiritualists of the 1920s. 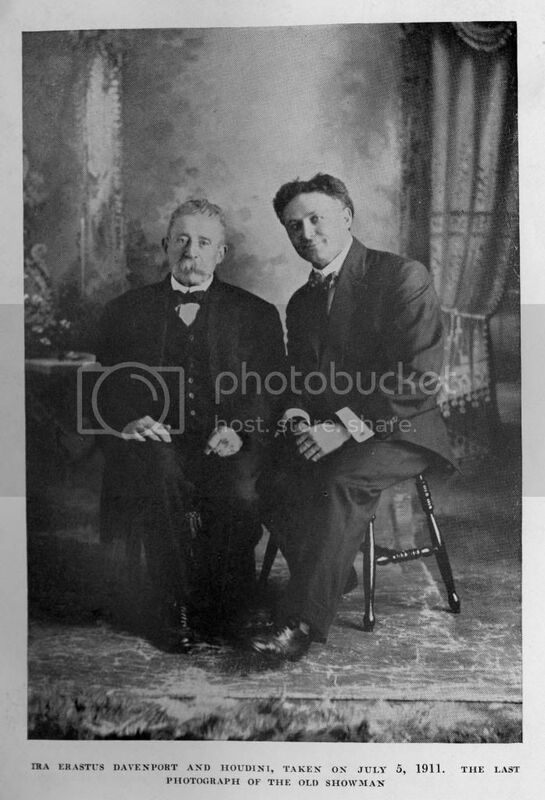 While Houdini wanted his audiences to believe his “magic” escape routines were the result of skill, many other magicians of the time advertised their acts as being made possible by the supernatural. 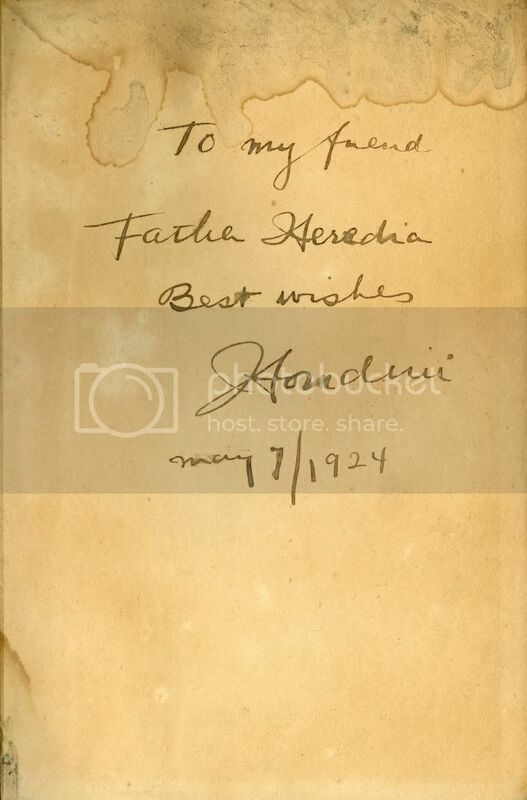 Best of all, this first edition print is signed by Houdini himself! Next, nothing says “children’s stories” like William Faulkner, right? 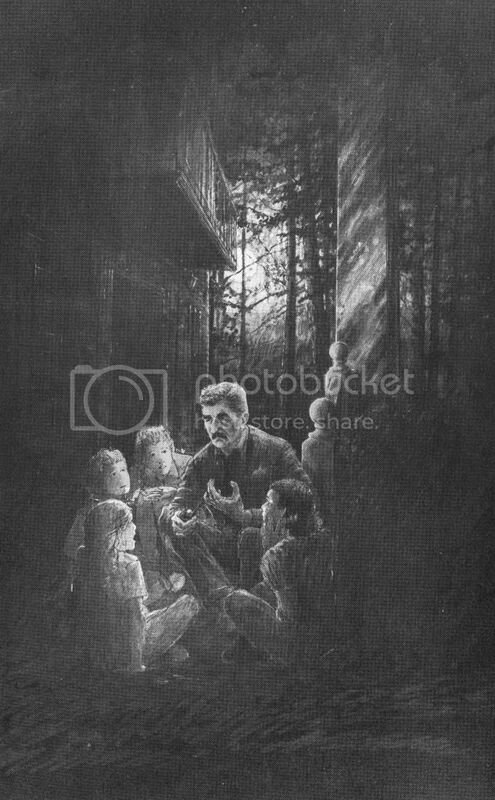 While Faulkner’s reputation may be more for the experimental style of his many fictional works, the children of his Oxford, MS home knew him as “Pappy” and thrilled at his ghost stories, recounted in this book by Faulkner’s niece Dean Faulkner Wells. 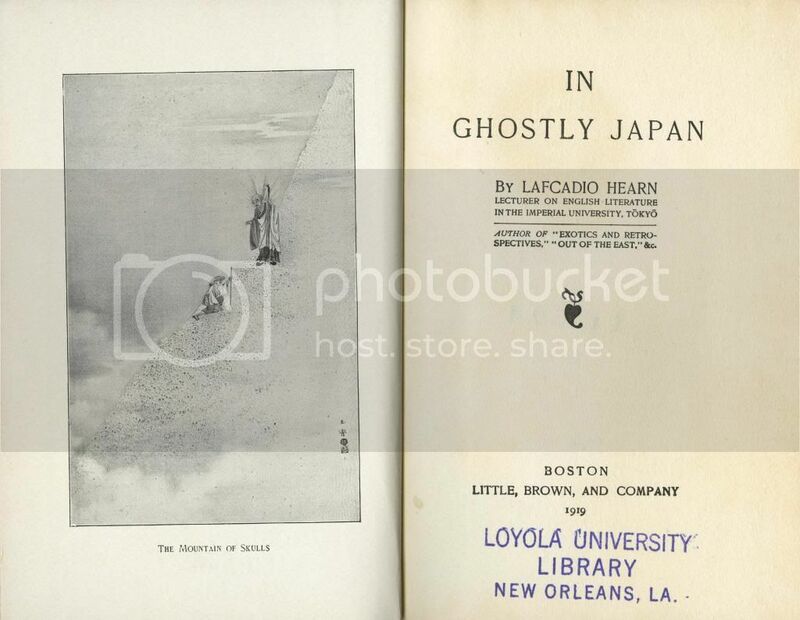 Finally, any discussion of ghosts and New Orleans wouldn’t be complete without Lafcadio Hearn, the 19th century writer and Japanophile. Hearn lived in New Orleans for almost ten years and wrote for both the New Orleans Daily City Item and the Times-Democrat. While Hearn has become one of New Orleans’ favorite ex-residents, it is Hearn’s writings from Japan and China that have made him most famous. Books such as In Ghostly Japan and Tales Out of the East introduced Western audiences to cultures and stories they’d never heard before, and Hearn frequently focused on the folkore of these countries in his writings. 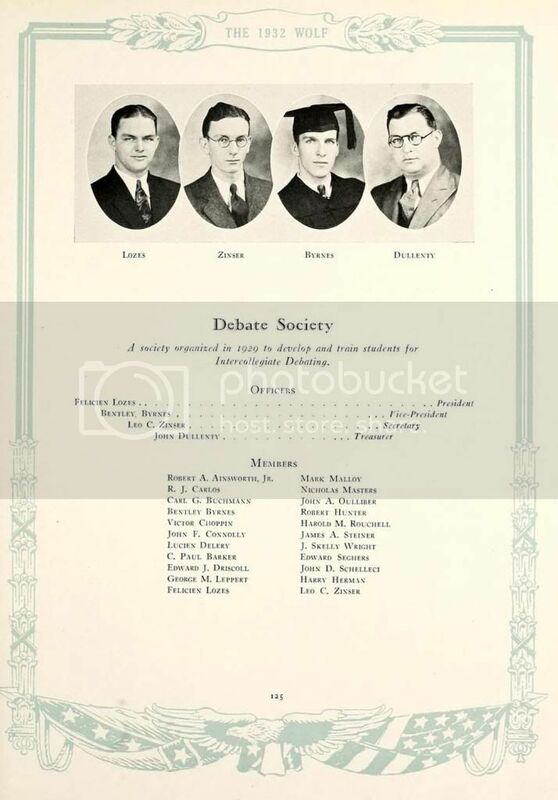 To view any of these books in their entirety, contact Loyola University Special Collections & Archives at archives@loyno.edu or come see us on the third floor of the Monroe Library. 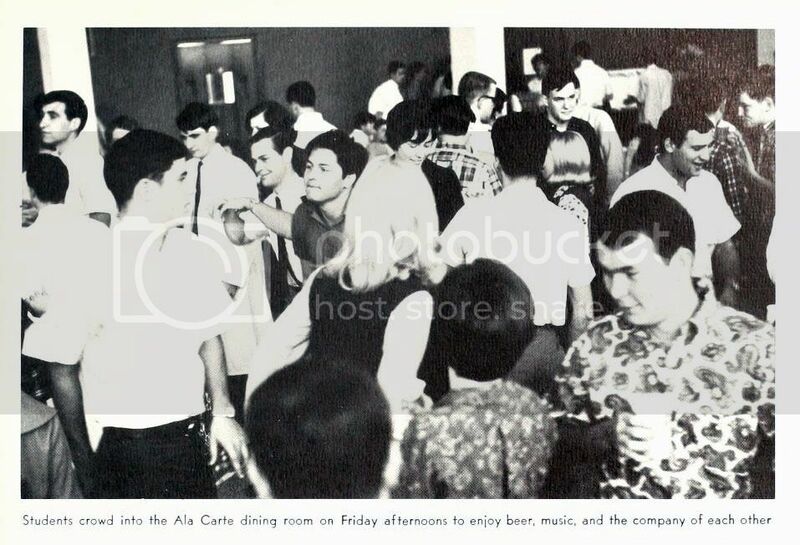 Back in ’67 Loyola celebrated Fridays in a big way. 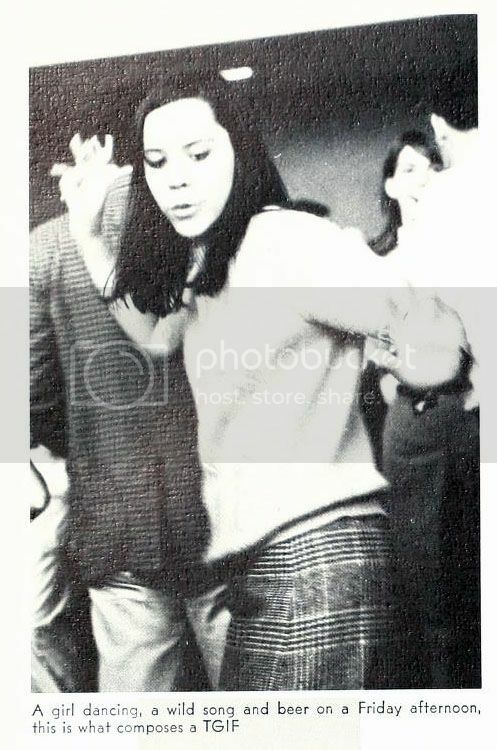 Students closed out the week with dancing, drinking and general good times in what appears to be the St. Charles Room. 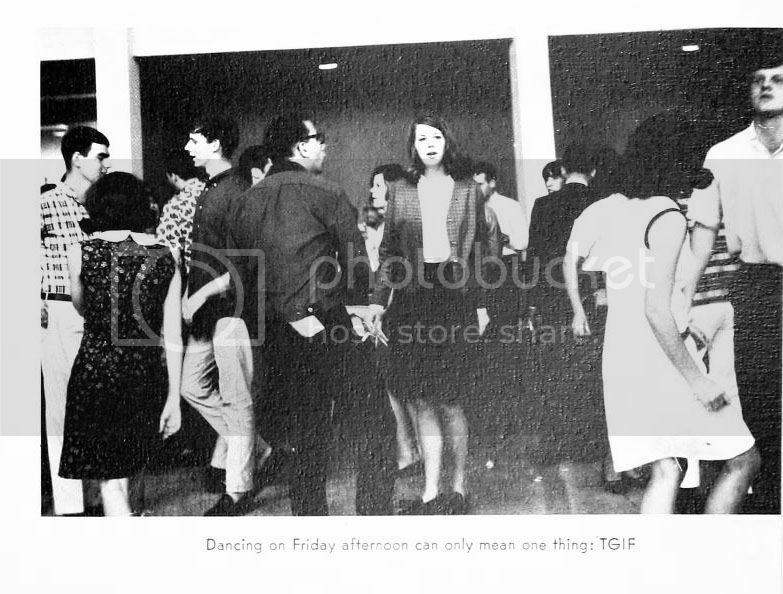 Here’s to the TGIF dance party! Meet Rebeckah Gordon-Kirk our Monroe Library Friend of the Month! Rebeckah is a sophomore majoring in Music Performance who loves all sorts of music and listens to anything and everything. She also enjoys reading, and “Perks of Being a Wallflower” is a recent read that she recommends to her fellow Wolf Pack. She usually checks out a laptop and headphones to catch up on her class materials on Blackboard and likes that she can take the computer all over campus, as well as music books and recordings for her studies. Rebeckah also finds the librarians very helpful with research, and knowing right where to look for the resources she needs. She likes that they will order materials for you if they are currently not in the collection. Thanks for being an awesome Friend of the Library, Rebeckah! Open Access is a new model of scholarly publication based on sharing. Open Access means free, immediate access to scholarly material in full. It’s a reversal of the old model, where university faculty write articles, publish them in commercial journals, and the library has to buy it back for other faculty and students to read. That’s paying for it twice–in the researcher’s salary and the library’s money! And the publisher owns the article and can decide when and how it’s used and reused–the writer has no further control over its use. The Internet providing a quick and simple way to distribute information to the world at a minimal cost, paid by organizations and individuals who want to see their research get the widest possible audience. Universities and libraries worldwide are getting behind this new model of scholarly publication. Open Access Week is a time to learn about this powerful new model. Find more information at http://www.openaccessweek.org. The Loyola University Maroon Digital Collection currently includes issues from the years 1971-73, 1982-83, 1992-93, and 2002-03. The remainder of the Maroons are being prepared for digitization by Backstage Library Works and should be available for viewing in the Louisiana Digital Library in the spring. 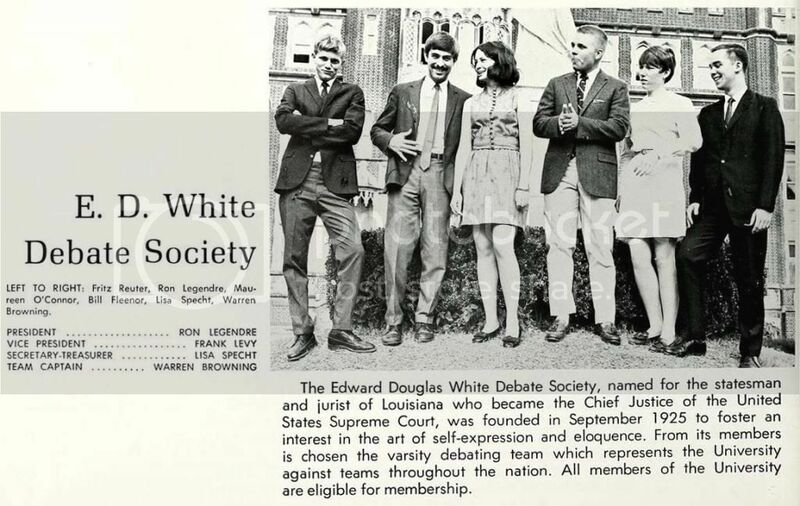 Until then, enjoy this issue of the Maroon, printed forty-one years ago today. 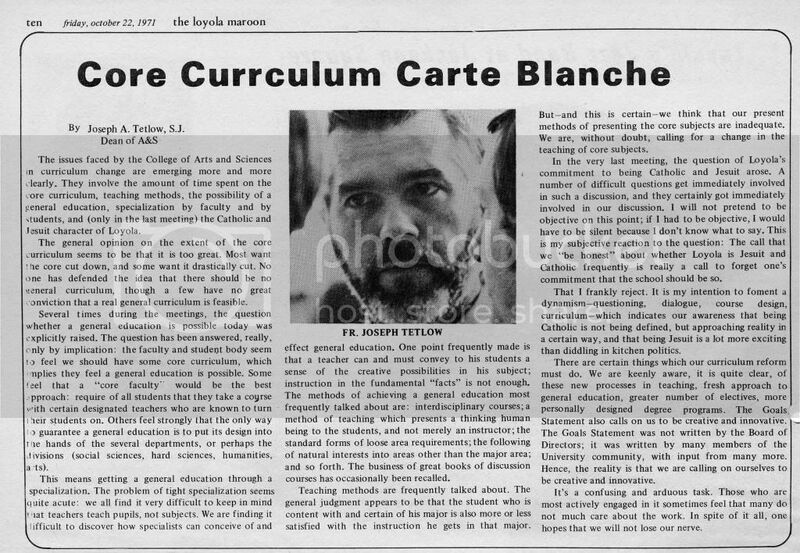 As Loyola once again revises the Common Curriculum, take a look back at some of the issues facing the College of Arts & Sciences in 1971. 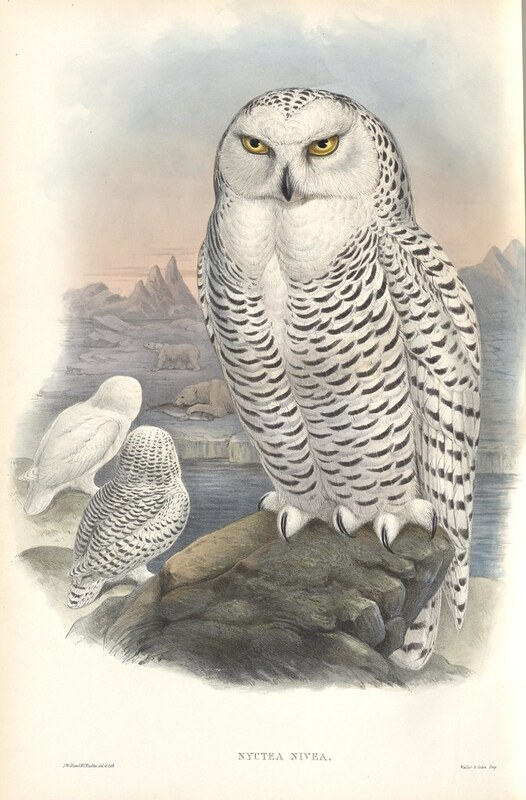 John Gould, a British zoologist active throughout the mid-19th century, is known chiefly for the over 3000 hand colored lithographs he produced throughout his career. The first volume of one of his most successful publications, The Birds of Great Britain, can be found in the Special Collections and Archives here at the Monroe Library. 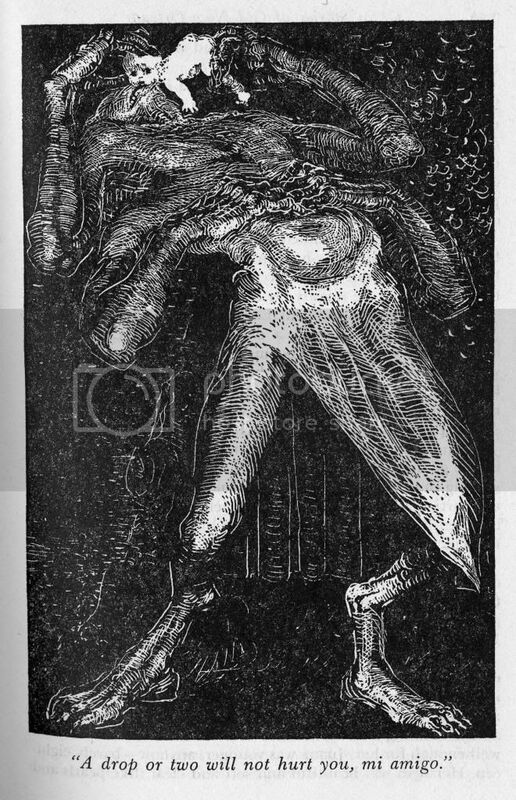 Check out some of the magnificent lithographs which have been digitized for inclusion in the Louisiana Digital Library. 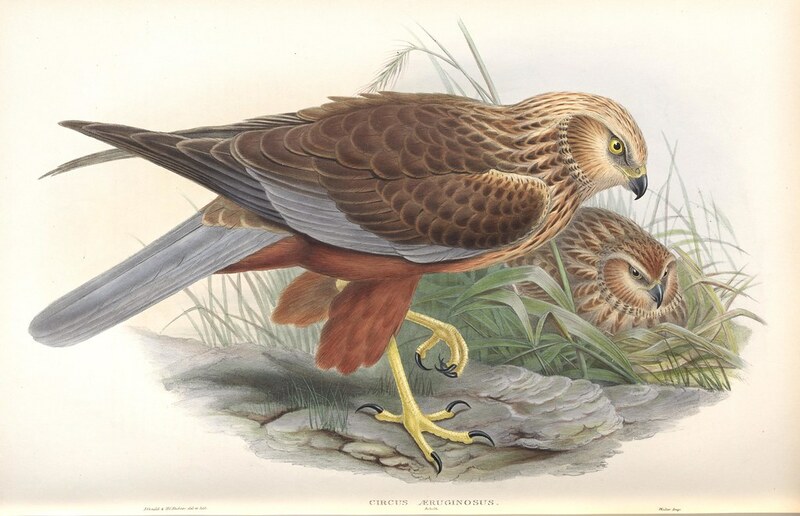 For more information about this work by John Gould, check out the introduction already digitized on the Internet Archive. Match the Quote to the Grad! 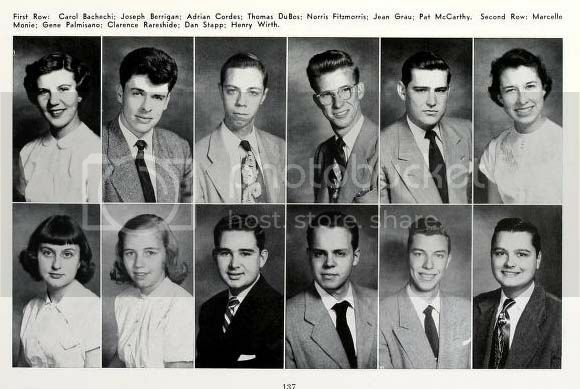 Senior quotes are as old as yearbooks, or so it would seem looking at the first yearbook at Loyola, the 1924 Wolf. See if you can match the quote to the graduate! 1. Is this that haughty gallant gay Lothario? 2. So long as I count the votes, what are you going to do about it? 3. Her winged spirit is feathered oftentimes with heavenly words. 4. For thy sake, tobacco, I will do anything but die. 5. The soul of this man is in his clothes. Join us in the Learning Commons in the Monroe Library for viewing the Presidential and Vice Presidential debates and free coffee for all. You are currently browsing the Library Lagniappe blog archives for October, 2012.